the judges on the new CBC-TV reality show "Cover Me Canada." The competition features musical acts performing classic Canadian songs. begins Sept. 18 at 9 p.m. I'm very excited and pleased to unveil my new website! I've been working really hard on my off time to bring you all a place to come and check out some photos, videos and news updates of what I'm up to. Maybe we can even run some contests and have some fun!!! Another thing I'm really stoked about you guys checking out too, is my new online store! I've been working really hard, coming up with cool swag that you guys would love. I've collaborated with some awesome designers who have helped me put my creative ideas into reality. I'm really stoked about what we've got going on over there. So make sure to check out the store and let me know what you think about some of the items. Feedback is always welcome. The site is still a work in progress, but I really wanted to put up what we've got. Very soon, there's going to be a Community with an area for people to blog, connect with other fans and participate in forum discussions. If you're reading this, then I just wanted to say, from the bottom of my heart, Welcome! and thank you for supporting me in everything I do. Much love to all of you. Muah!!! Donnie is featured in this month's Rachael Ray magazine. 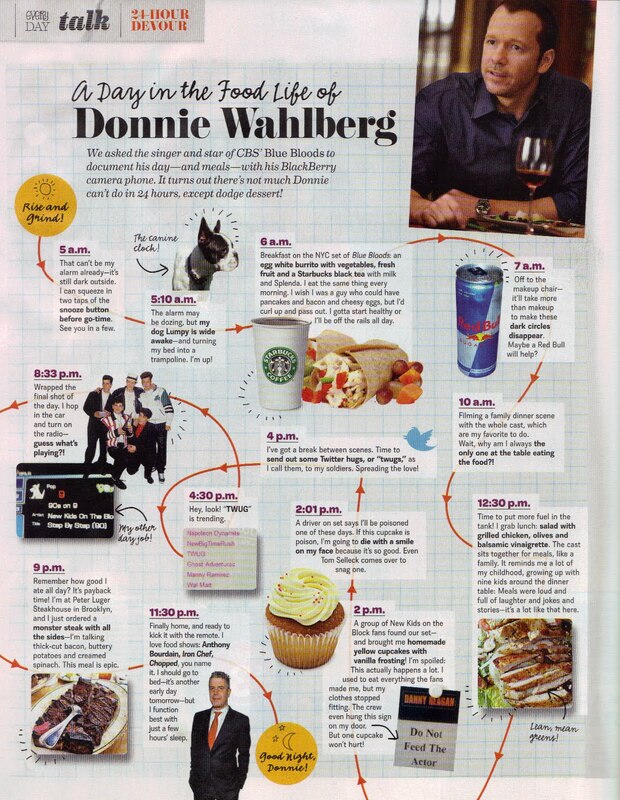 They had Donnie document his day and his meals while working a typical day on the set of Blue Bloods. Click on the image below to view the larger version. Here is a Boston Herald article about the upcoming Wahlburgers restaurant. The article also mentions that the Wahlbergs will be opening a pizza place next spring. 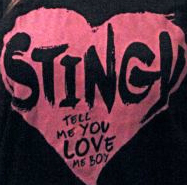 Jordan will be selling merchandise - including "Stingy" shirts - on his website next Tuesday. Follow @RememberBetty on Twitter for updates on Team Betty (and all the local Team Betty's) and their effort to end breast cancer. And here is a photo of Jonathan and his horse that he sent via Twitter. 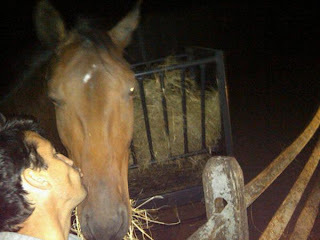 His caption read "Always kiss your loved ones before bed. Even when they sometimes step on your toes...."
Donnie and Mark Wahlberg have licensed the Wahlburger name from Tom Wahl's to open a burger joint in the Boston area. The brothers, which also own other restaurants, do not have plans at this time to serve a burger with the name but plan to name the eatery Wahlburgers Restaurant. Tom Wahl's owns the federal trademark rights to the Wahlburger name, so the restaurant group that includes the Wahlberg brothers, which also includes Paul, a chef. Mark Wahlberg started his career as a rapper under the name Marky Mark, and Donnie Wahlberg is a member of the '80s sensation New Kids on the Block. 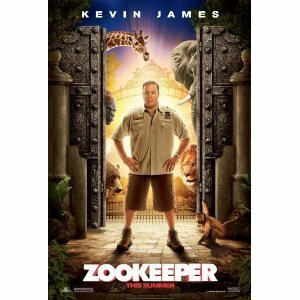 The two developed careers in acting, Mark as as star of Boogie Nights and more recently gathering acclaim as producer and actor in The Fighter and on the HBO show Entourage. Donnie Wahlberg was in The Sixth Sense and is now has earned critical praise for his role on the CBS show Blue Bloods opposite Tom Selleck. IMPORTANT- The threat of Hurricane Irene hitting VA Saturday has forced me to move my Party to next Saturday- 9/3- Your safety comes first! Sorry for the inconvenience but I'll be more sorry if you all have to travel in, at worst a hurricane, at best horrible storms! PS- all of the airlines are offering no change fees for flight changes because of the weather!! #justsaying! The good news is... This gives me an extra week to make even more plans for surprises for Virginia Beach! "Valspar Hands for Habitat" is auctioning off several celebrity hand prints, including Donnie Wahlberg's. See photo and description below and click here to place your bid! In this video from People.com, Donnie recalls the Boston Red Sox losing game 6 of the 1986 World Series. A fan on Twitter sent me a link to a flash mob in Venezuela where a bunch of fans danced to the NKOTBSB Mash Up (like they performed on the American Music Awards). When viewing that video I noticed a bunch of related videos of other NKOTBSB Flash Mob's from fans around the world. Below are the videos! 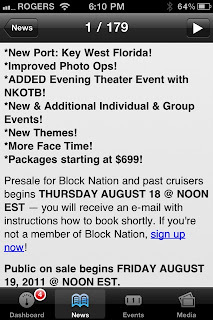 The 2012 NKOTB Cruise is sold out! If you would like to get on the waitlist, go here! CBS sure likes their New Kids ( …and we don’t blame them). CSI: NY has booked New Kids on the Block’s Joey McIntyre for a guest spot set to air in October, EW has learned. The singer, whose bandmate Donnie Wahlberg stars on Blue Bloods, will play Ray, a man that ends up in a shooting that involves one of the CSIs. 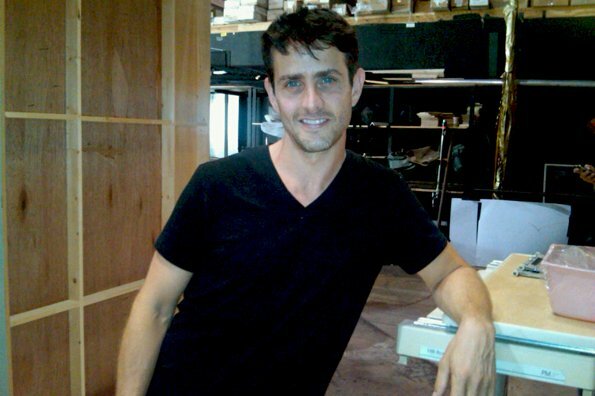 McIntyre recently wrapped on the NKOTBSB tour, in which his took to the road with the Backstreet Boys, and is also set to appear in an episode of Psych this season. His CSI: NY episode is scheduled to air Oct. 14. 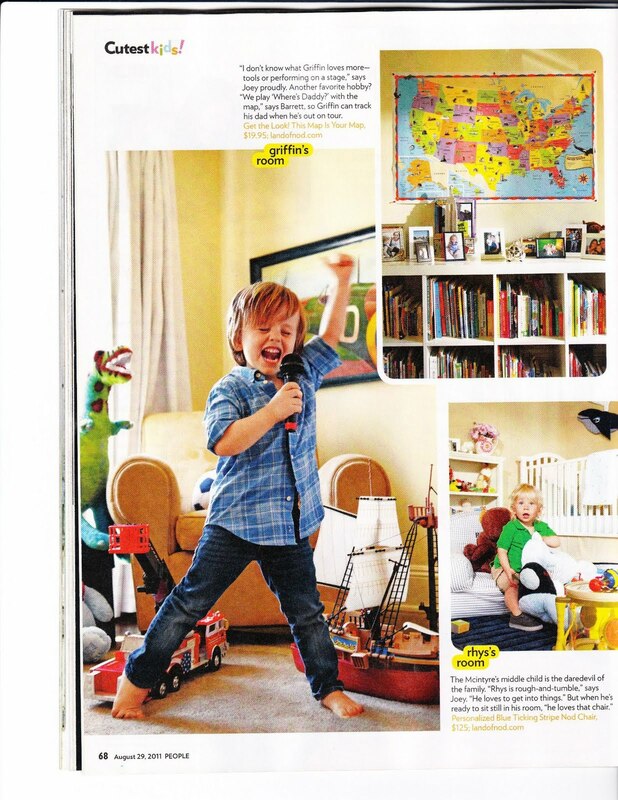 Joey and his family are featured in this week's People Magazine. 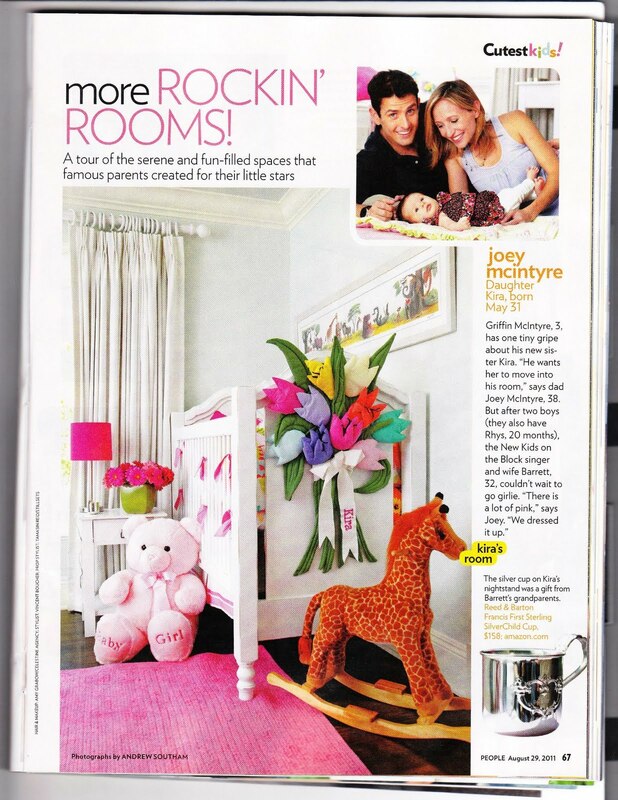 They have published photos Joey's three kids Griffin, Rhys and Kira and their bedrooms. 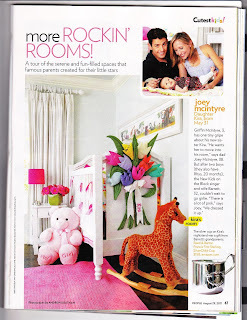 Here are the scans courtesy of JessicaNKOTB. Happy 2nd Anniversary of your 40th Birthday Donnie! 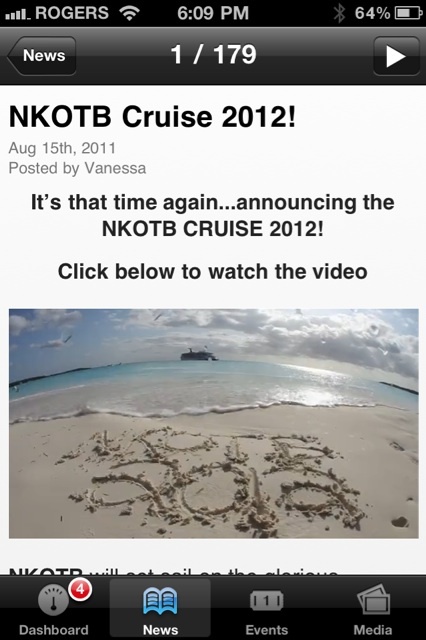 Here are a few websites with more information about the NKOTB Cruise. 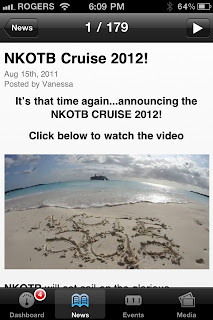 This blog has lots of info about NKOTB Cruises, so if you have a question, you can probably find the answer there. More advice for the cruise. 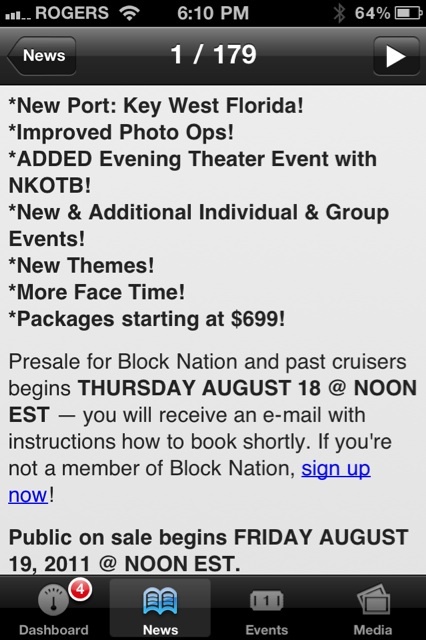 This is a more comical look into the New Kids on the Block cruise, but still worth a read. Here is part 4 of Chad's interview with Jordan. They talk about topics such as why Jordan thinks his son Dante will an accountant, and that Chad met his wife because of Jordan, and more. Here is part 1 of an interview Jordan did on KUOO. By the way, Chad, who interviews Jordan in this clip is the DJ who joined Jordan onstage during his solo tour in 2004-05. Here is an interview Jordan did with EZ Rock 97.5. They talk about him starting his music career at a young age, what is it like being in the group with his brother, why did chose to tour with the Backstreet Boys, does he prefer being a solo artist and more. LFPress.com did a news story about last night's show and also featured a short interview with Jordan Knight. Donnie has confirmed he will be having a birthday party on August 27th at Guadalajara Town Center in Virginia Beach. More details about tickets to come at a later date. Jordan did an interview with "AllAccessWeekend" (Montreal). He talks about the tour with the Backstreet Boys, the guys branching out and doing solo songs, why did he call his album "Unfinished", how do they get refreshed and more. Jordan did an interview with Majic 100. He talks about the difference between touring now versus touring when they were younger, how the fans make him feel young, and will NKOTB be on Glee?